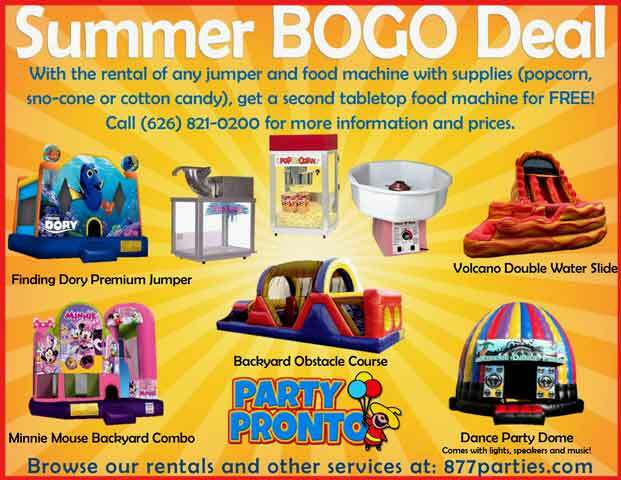 For more information or to reserve your rental(s) call us at (626) 821-0200. We’re open 7 days a week. This entry was posted in Deals, Fun. Bookmark the permalink.